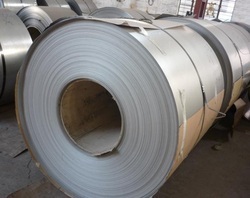 Our range of products include stainless steel 321 coil. 321 is basically a 304 grade containing a stabilizer of titanium. Type 321 is a good choice for applications where heat is an issue. 321 can be used in applications up to 900 degrees Celsius where 304 is normally used up to 500 degrees Celsius. Grade 321 has excellent forming and welding characteristics. It does not polish well so would not be used for decorative applications.